So, I'm on "vacation" with my dear hubby (100% disabled from PTSD, TBI, and degenerative muscular & bone issues from a few too many close calls with explosions) and our five year old daughter. In our world, the only type of vacation that works (other than a "stay-cation" where we don't actually leave the house) is to go and visit some dear friends... the family of my husband's friend since childhood that lives about 8 hours away. 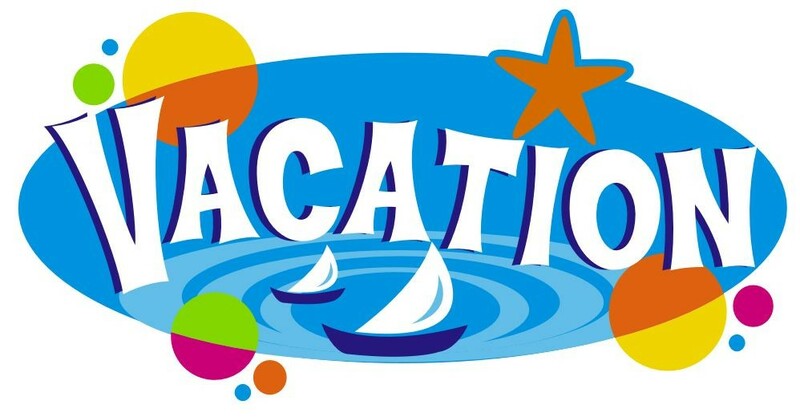 Now, even this type of "vacation" (believe me, I'm not over-using the quotation marks) is almost cancelled every single time. In the days and weeks leading up to the day we're supposed to leave I spend endless hours explaining, reminding, and going over the route, any plans, etc., etc. But still my dear hubby becomes increasingly wound - more and more anxious and angry - less and less in control. You're probably asking at this point why we even bother... well that's why I pointed out that I'm also on "vacation" with our five year old. Anyone who lives in PTSD / TBI world knows that this life is a constant tight rope walk... a never-ending dance between keeping your veteran as calm as possible while also hopefully providing a few "normal" moments for your family. It's summer... our daughter has been begging to go somewhere (she gets that wandering nature from her mom!)... and I want her to have those childhood memories like I do. So, here we are... in a semi-safe environment for my hubby... but still he's miserable. And, unfortunately, that misery is having a trickle down effect. "Normal" people aren't used to adapting to someone who sleeps (or doesn't) at all times of the day and night... patrols the house and yard... refuses to go to seemingly un-threatening places (like a grocery store... or even the grocery store parking lot)... over-reacts to small things... etc, etc, etc. No matter how much they love my hubby and us, it's a lot to deal with, especially when you're not accustomed to it on a day-to-day basis. Consequently, I find myself even more edgy than normal... trying to explain or prevent his behavior... trying to keep our life from not seeming quite so odd... and in the process realizing how odd (comparatively) it really is. It's EXHAUSTING. My head is pounding. My emotions are raw. My temper is short. I know I'm not at my best. Ugh! What a BAD house guest I make! So... what's the moral of this story?? Do we give up? Do we throw up our hands and stop pursuing yet another part of "normal" life... stop trying to provide yet another brand of childhood memories for our daughter? My vote is NO! I'll get home from this trip, give myself some time to get my head on straight and then re-evaluate. I'll do my own sort of AAR (After Action Review) and try to figure out how to tweak the process to make it a little better next time. I'll apologize to our friends. I'll plan a little more. I'll forgive myself for any mistakes I've made. And at some point we'll try yet again. I think that's one of the most important lessons we, as caregivers of our nation's mentally and physically wounded heroes, HAVE to learn... we're NOT going to get it right MOST of the time. BUT for every time we don't get it right, we're gathering valuable intelligence about how to make the next try better. Failure is okay... so long as we don't ever, EVER let it defeat us! I was recently going over your blog because I am a veteran with PTSD and my family goes through the same thing, but recently a psychiatrist told me something that was invaluable to my recovery process. He said, "you have to start small." You more then most other people know that doing anything can be a challenge because we are in a constant state of alert and paranoia. This can be hard on the family and he probably doesn't even realize what is going on as much as you think he does. Try renting a private cottage somewhere. A place where you can all go out on a lake with a boat, do a little fishing, and not be around anyone. Try to convince him to do things slowly, like going to a play for example. Not many people go to plays or live performances anymore and those that do are not the suspicious people you have to worry about. Another thing you may consider is slowly integrating him back into calm, safe, and secure environments. Any place where he may feel unsafe, for instance, Disneyland, is not a place he should be. Invite a couple of close friends with you and visit quiet places first. Progressively move onto bigger and better things. Most importantly, reassure him always that you love him, and that he is the number one. I have spent a large amount of time isolating myself and I have to tell you it is only going to get worse. Isolation causes your brains to become more paranoid. You are welcome to check out my blog if you wish..thefalltoglory.com I hope this helps. Stay strong! Proud to know that such tight-knit families exist surrounding those with PTSD. Gives me hope! I'm not a vet, but I know what it's like to travel with PTSD, and I found this blog while looking for others like me. Keep up the good work!